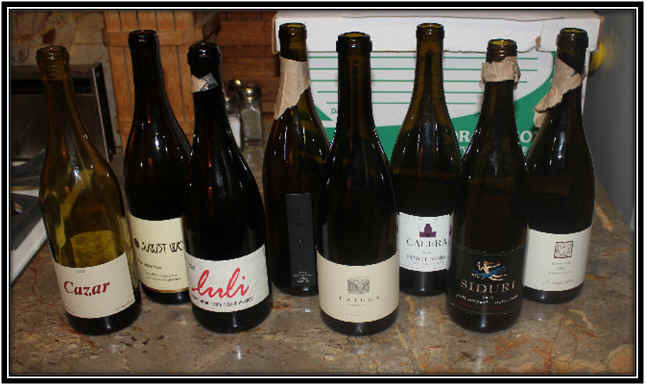 For our June tasting, Vino Fino member Tim Zainer assembled a set of California Pinot Noirs, 5 of them costing $20 to $30 and the others priced at $34 to $50. 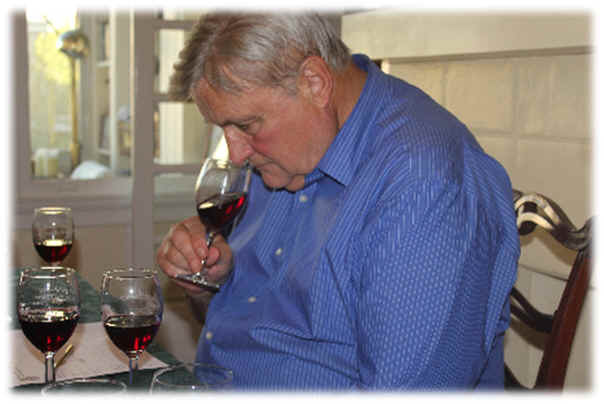 As we have often seen in blind-tastings, price is not an indication of quality. Two wines were ahead of the pack and three wines towards the bottom of the rankings. Of the 8 wines in the tasting, 6 of them had at least one first place vote. 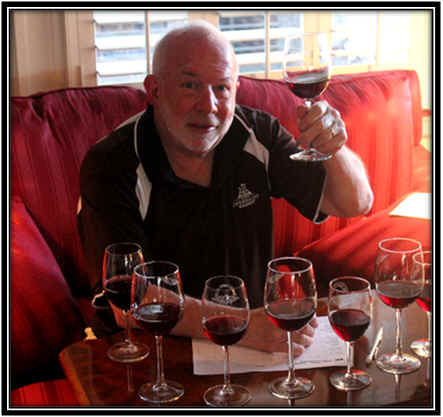 Four of the wines had no last place votes, the three 'top' wines and the 7th place finisher. Clear in appearance and medium garnet in color, this wine seemed to be a bit undeveloped or reminiscent (to some degree) of a tank sample rather than a finished wine. I found ripe red fruit on the nose and the wine hinted at being right out of the fermenter. It's dry and moderately acidic, with medium body. Fruity and berryish on the palate, it's a bit shallow. I found a moderate level of Pinot fruit here, but a rather 'standard' quality wine over all. No stars on my three star scale, as the wine is perfectly ordinary at this stage. 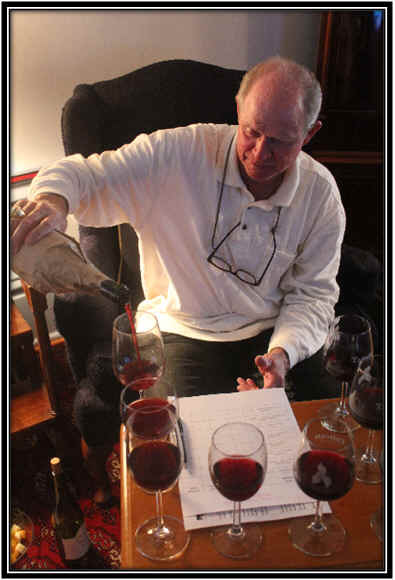 I would not be surprised, though, to find more interest and character with several more months of time in the bottle. Medium garnet in color and clear in appearance, this was one of the most distinctive wines in the tasting. I was surprised that this did not garner at least one first place vote. There was a perfume which reminded me of the resiny, minty, eucalyptus-like fragrance one encounters in some Australian Shiraz. It was most unusual as a Pinot Noir and this was why the wine was ranked so low I suspect. The flavors featured those same minty/eucalyptus notes, so I ranked this towards the bottom as it is not typical Pinot Noir. No stars as a Pinot, but it's an interesting bottle of wine. Medium-light garnet in color and clear, the 'flaw' in this wine was its ripe, prune-like character which featured a jammy fruit quality...over-ripe grapes seem to be the culprit here. The wine is dry and mildly acidic...medium-bodied...I found it quite shallow on the palate, but reacted more negatively to its overall over-ripe character. No stars from me. Try again. Clear in appearance, this wine is light garnet in color. It displays lovely Pinot Noir fruit...lots of cherries. It's dry and moderately acidic. Medium bodied. 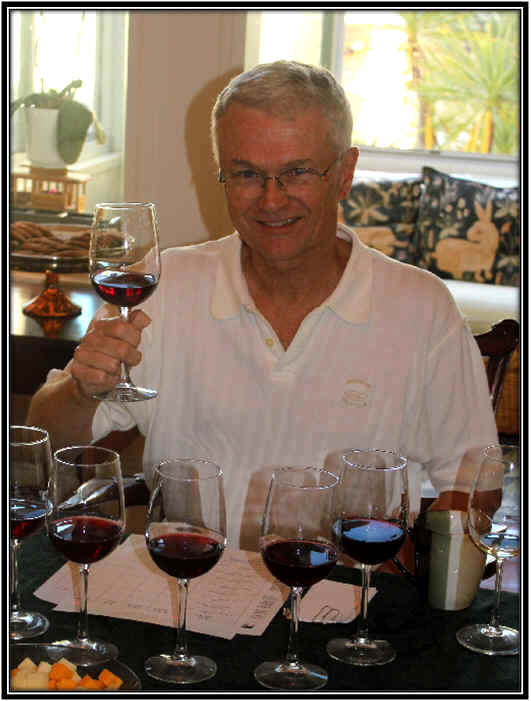 The flavors confirm the aromas and the wine is a nice rendition of Sonoma Pinot. Elegant and bright...ready for drinking in its youth, I suspect, more than cellaring. One star. Clear in appearance and light garnet in color, the fragrance of this wine was a delight, showing bright cherry perfume that's typical of Pinot Noir. Very nice. Dry and moderately acidic, this wine had a touch more tannin than most in this line-up. The tannin also was balanced by ample fruit, so it will probably improve over the next two to three years. One and a half stars presently. 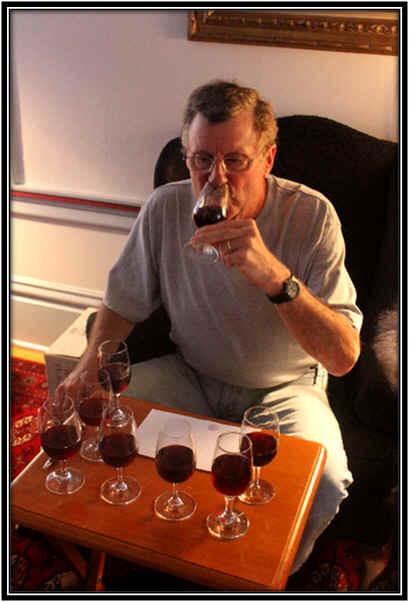 Clear in appearance and medium garnet in color, this shows some easy-to-identify aromas of Pinot Noir. Dry and mildly acidic, this is a nice, medium-bodied Pinot. It's lightly fruity on the palate...cherries...typical. Drink now. One star. Clear in appearance and light garnet in color, this showed a ripe red fruit quality, but not a 'fine' Pinot Noir fragrance. The ripe element on the nose sort of veils the Pinot Noir fruit in my view. It's dry and moderately acidic...medium+ body. The vanillin notes from the oak are fairly prominent on the palate with nice fruit and good length. One star. Clear appearance and medium+ garnet color, this wine sure had a pretty nose...lots of cherryish Pinot Noir fruit and a lightly smoky/toasty oak quality. It's dry and nicely acidic, with medium+ body. The flavors showed good Pinot Noir fruit and a beautifully woodsy, vanillin quality from the oak...a thoroughly charming wine. One-and-a-half stars+.